The party demands a new government be formed. 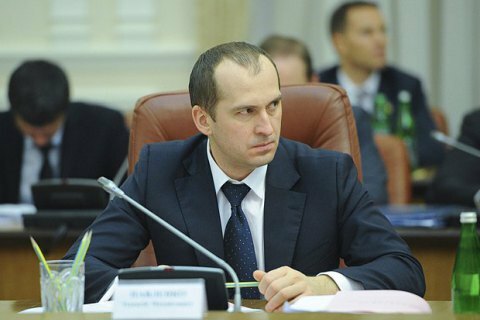 Lviv mayor Andriy Sadovyy's Self-Help party has said that it is recalling Agrarian Policy Minister Oleksiy Pavlenko from the Cabinet of Ministers. "The Ukrainian authorities are in a deep, systemic crisis and this constitutes an issue of national security. The Ukrainian authorities, which are weak, corrupt and incapable of conducting decisive reforms, are the main trump card of the enemy aiming to destroy our country. We, like the majority of Ukrainian citizens, are unhappy about the Ukrainian government's performance and are not going to legitimize its further existence by our presence in this government. Today the Cabinet of Ministers is one of the sources of multi-billion corruption. The 2016 kleptocratic budget bears all signs that the next year will become another year of large-scale embezzlement of state funds," the party said in a statement. Thus the political council of Self-Help decided to recall its minister from Arseniy Yatsenyuk's government and to offer other parties in the parliamentary coalition to draft a new coalition agreement and set up an effective government after the reasons for the failures of the current alliance are identified in a fair and public manner.